The Heart of Rage. Embers. Scars. The Monitor. Javelins. Anthem is the new online third-person shooter-slash-Iron Man simulator from Bioware due out next month, and the opening hours are a deluge of proper nouns. It sometimes feels like these early scenes were written by a sentient word processor with unlimited access to the Fantasy/SF section of its local public library. At one point during the roughly seven hours I spent with the game at a press event prior to the recent closed beta, I met a character called the Bard. He speaks with an almost Shakespearean grandeur, regaling the player with a mythic tale that ends up going nowhere. The player expresses bemused skepticism throughout, and voices their disappointment when the story’s climax lands with a thud. The joke doesn’t really work, though, because the Bard’s brand of exaggerated storytelling sounds too much like the lore dumps that dominate the cutscenes in the game’s first few hours — lots of world-establishing moments that are extremely serious and not played for laughs at all. But, while the majority of my playtime was devoted to the start of Anthem, the glimpses we got of the later game were crucial to understanding what it will actually be like to play Anthem proper. Once the effort of introducing players to the world had fallen away, the world Bioware is building began to take shape. By talking to NPCs, I started to get a sense of how all those proper nouns fit together, and of the importance of the events that these capitalized words signalled. It started to feel more like a story and less like a glossary. 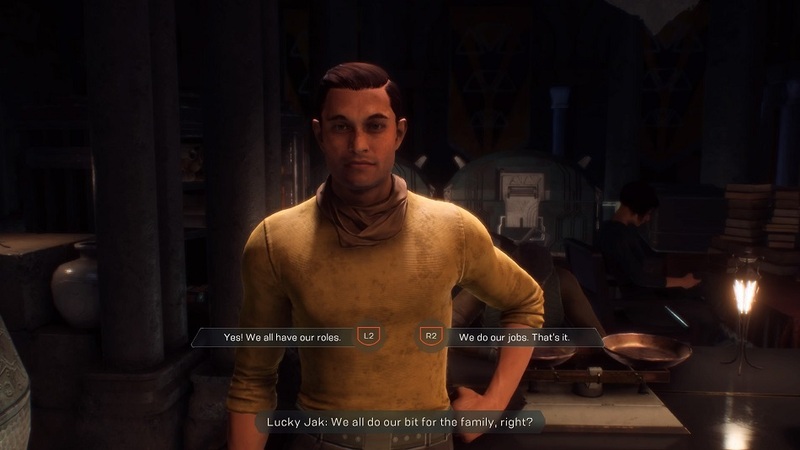 In Fort Tarsus—Anthem’s homey, village hubworld— I got to know Owen, a buzzcut techie who serves as the player’s handler, relaying information in the Queen’s hammiest English as the player jets through the lush world. In person, he mugs for the camera and gives ostentatious thumbs-ups. Playful smiles flicker at the edges of his lips. If Anthem succeeds at telling a compelling story, it will be because of characters like Owen, who I suspect will start to feel like comrades. “Bioware’s stories are always anchored on those character moments. 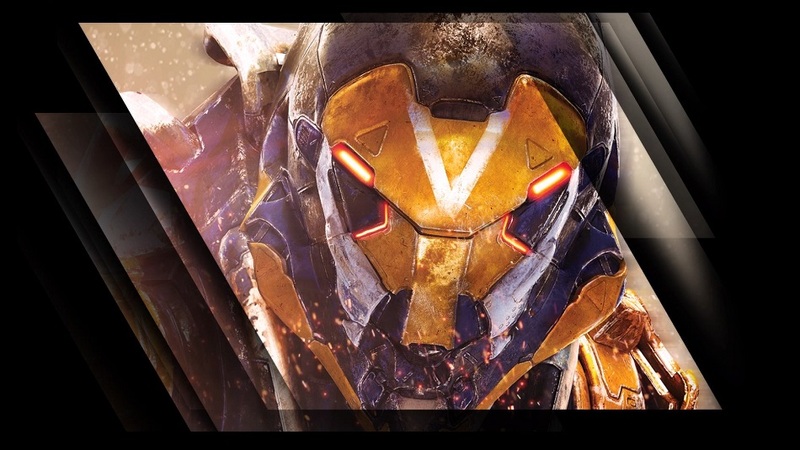 Much more than the crit path stories, it’s about having characters that you form a relationship with, and they can provide a window into the world,” said Anthem’s executive producer, Mark Darrah. 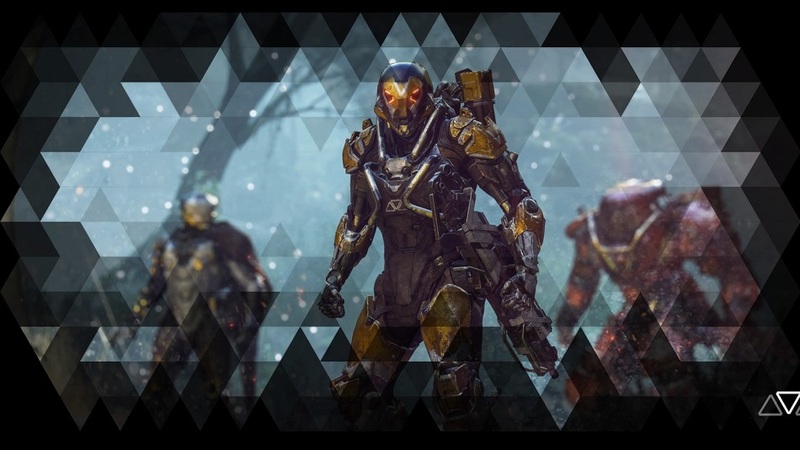 While we’ll have to wait for Anthem’s full release to determine whether it succeeds on this front, I would only need a few minutes with the game to tell you that it is a knockout, home-run success in terms of how it feels to play. Last year, superhero fans got the Spider-Man game they always wanted with Insomniac’s acrobatic take on the webslinger. This year, Iron Man fans are in for a treat. With a little help from your Javelin— a sleek and powerful exosuit—you can do everything that Tony Stark can do. With a controller in hand, you’ll press the right stick in to hover and mow down Scars, Wolvens, or any of the ground-bound grunts you’ll meet out in the wild. If hovering isn’t enough, press the left stick in and you’ll thrust into flight. 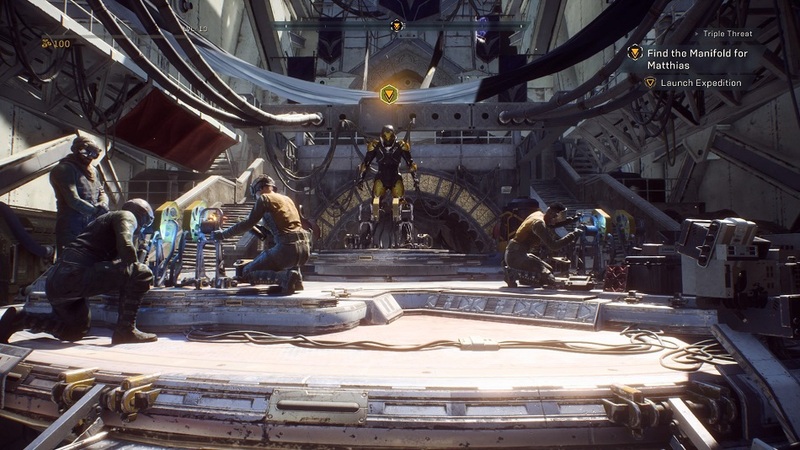 Bioware uses these mobility options to take Anthem beyond typical third-person action and creates dynamic encounters where it’s almost as fun to flee from a fight as it is to confront the enemies beyond Fort Tarsus head-on. Almost. But, the shooting is good as hell, too. The camera zooms in for intense over-the-shoulder close-ups. The controller rumbles with satisfying feedback. Yellow damage numbers fly off your opponents as you shotgun half their health away. The shooting is supplemented by each Javelin’s unique powers. The mighty Colossus packs a powerful punch and blocks damage manually with a hefty shield. The svelte Interceptor blasts around the map at speeds that are unattainable for other classes. When its ultimate attack is activated, the Interceptor unleashes a flurry of sword strikes at unsuspecting aliens. If you want a sturdy all-arounder, the yellow Ranger occupies a solid-mid-point — not as strong as the Colossus, but faster. Not as quick as the Interceptor, but stronger. The Storm is a wildcard outlier mage-like class that controls the elements and freezes enemies, shocks them with lightning, or burns them with fire. Anthem’s exciting variety is on full display in the considered differences that set each class apart, but, I’ll need more time with the game to come to a conclusion about its mission design. 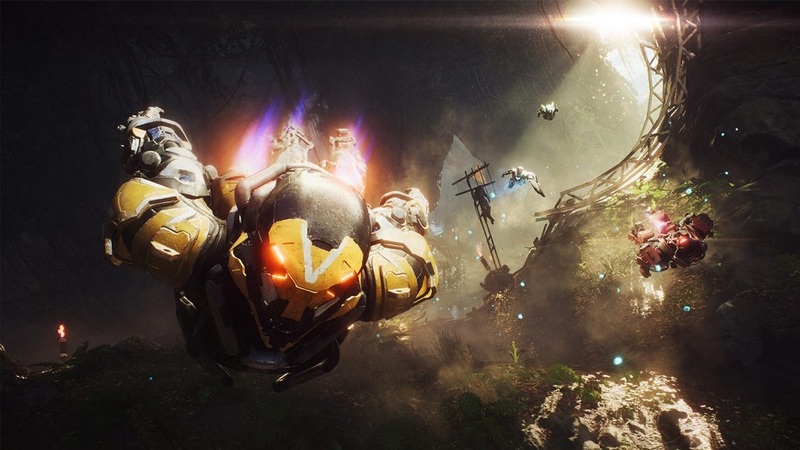 In a world where reaching retail release is just the beginning, Anthem’s stellar mechanics give it a leg up on its less agile competition. However, before my seven hours were up, I began to seriously wonder about the long-term viability of its mission structure. After a while, the missions all began to feel the same—follow a waypoint to a battle, shoot a bunch of enemies, collect a bunch of items that are scattered around the world for story reasons, repeat. Fatigue this early doesn’t bode well for a game that’s aiming to be the new long-term hobby for a good chunk of the gaming populace. Still, this was just a preview. We won’t really be able to analyze the game’s full structure until it launches on February 22. However, Darrah expressed a willingness on Bioware’s part to shape the game to meet its players needs. Like one of the Bard’s stories, we’ll need to wait to see if it lands.